Al Arabi Club Doha (D1) inked experienced 34-year old American guard Demarius Bolds (193-88kg-84, college: Missouri Western). 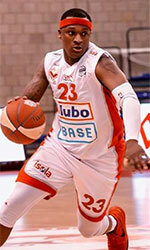 He played recently at Champville in Lebanese LBL league. In 10 games he recorded 12.2ppg, 2.8rpg, 1.7apg and 1.8spg this season. 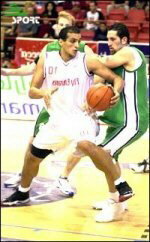 Bolds also played for GS Kymis (A1) in Greek league where in 6 A1 games he averaged 10.8ppg, 4.0rpg, 2.3apg and 1.7spg. Among other achievements his team made it to the Gulf Coast Championships Semifinals in 2018. Bolds received also Asia-Basket.com All-Gulf Coast Championships 1st Team award in 2018. He is a very experienced player. Bolds has quite traveled the world as his pro career brought him to twelve different countries on three different continents (Europe, Asia and of course North America). Bolds has played previously professionally in Bahrain (Muharraq), Iraq (Nift Al-Janoub), Lithuania (Lietkabelis), Romania (Targu Mures), Turkey (Final Spor), United Kingdom (London Lions), Greece (Apollon Patras and Lavrio), Qatar (Al Rayyan and Al Wakrah), Czech Republic (BK Kolin), Kosovo (Bashkimi), Lebanon (Al Moutahed) and ABA (St.Louis S.).